Now in it's fifth printing! Order Now! 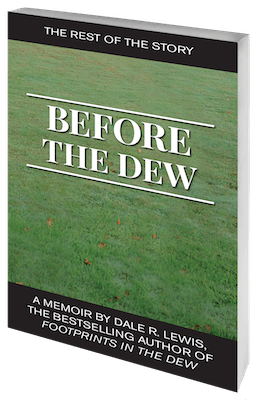 Audiobook with new photos and information now available. Order Now! Do you change myth to fact or just let the legend grow? When will justice be served? I've got a story that needs to be told before it all fades away. Welcome back. Volunteers are the backbone of most of the events in our community and as I travel around the country I find that this is true everywhere. From schools events and parades to a wide range of fundraising events, volunteer support is key to the success of these programs…. 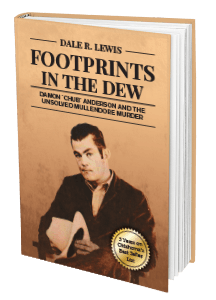 This weekend (January 5th-6th) I will be at the R&K Gun Show at the Tulsa Fairgrounds selling Footprints in the Dew and Before the Dew. The hours are 9-5 on Saturday and 9-4 on Sunday. Happy New Year everyone!